The cells of the pigment layer are cylindrical rather than cuboidal and show tufts of (accumulated) pigment granules in their apical part. 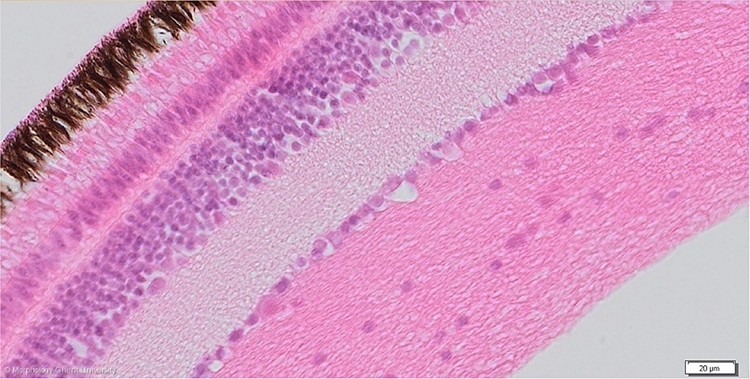 The visual cell layer is well-developed (see also next picture). Above, the nerve fiber layer has enormously thickened towards the optic disc.